As the old year ends and the new one is just beginning, it’s always fun to reflect about what was accomplished while looking forward to new goals. Although quilting is my full-time job, it’s just as much my hobby as my business. I thought I would share important milestones from 2015 month by month along with a few peeks into my goals for the upcoming year. I hired Lindsie to update my branding and logos, and create professionally looking graphic design and layout for my patterns. This was something I had wanted to do for a long time, and it ended up being the best decision I made all year! The biggest lesson I learned is that it’s actually cheaper and more efficient to pay someone to do something that would take me ten times longer to do and wouldn’t look half as good. I plan to use her skills much more in 2016. I attended QuiltCon for the second time and affirmed my love for modern quilting. It was my goal after the original QuiltCon to one day return as a teacher and I’m thrilled to be able to do that in 2016 (and beyond). I also represented the Las Vegas MQG as president, and helped grow our guild from just 5 members to over 40. I can’t wait to see what our new president, Vicki Ruebel of Orchid Owl Quilts has in store for us this year. Illusions at QuiltCon – look for this pattern in the spring issue of Modern Quilts Unlimited. Students working on Modern Logs – one of my favorite designs to teach! My first advertisement as an EQ artist was published in an issue of American Patchwork and Quilting. When it came out, I received more engagement from that ad than I have had in any prior magazine publications. Talk about reach! 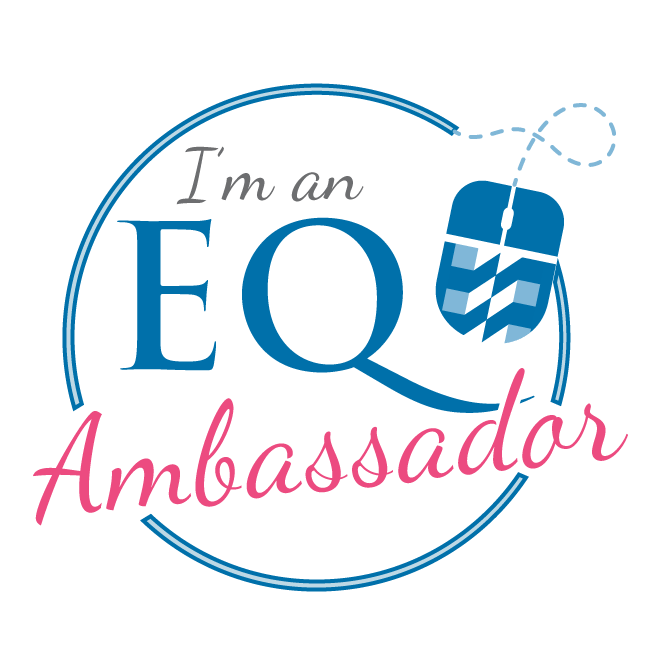 I’m looking forward to representing EQ more next year, and can’t wait to teach my 3-Day class on Getting Started With EQ7 at EQ University next April. I successfully launched my first set of 4 print patterns. The key was to get them into the hands of the major pattern distributors (Checker, United Notions, Brewer) so that quilt shops can find them. They’ve been well received so far and I can’t wait to do more in 2016. I taught at my first international quilt show for the National Quilting Association. Sadly, the NQA is no longer in existence but the show confirmed my desire to teach and travel more. It is so fulfilling to get out there, meet new people, and share my love of machine quilting! 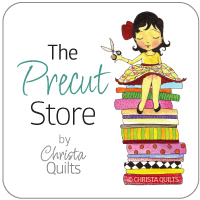 I look forward to a nice mix of teaching next year – a couple of quilt shows, a few guilds, and some local classes. I spent the entire month at my sewing machine, wrapping up work on my second book which releases in April. 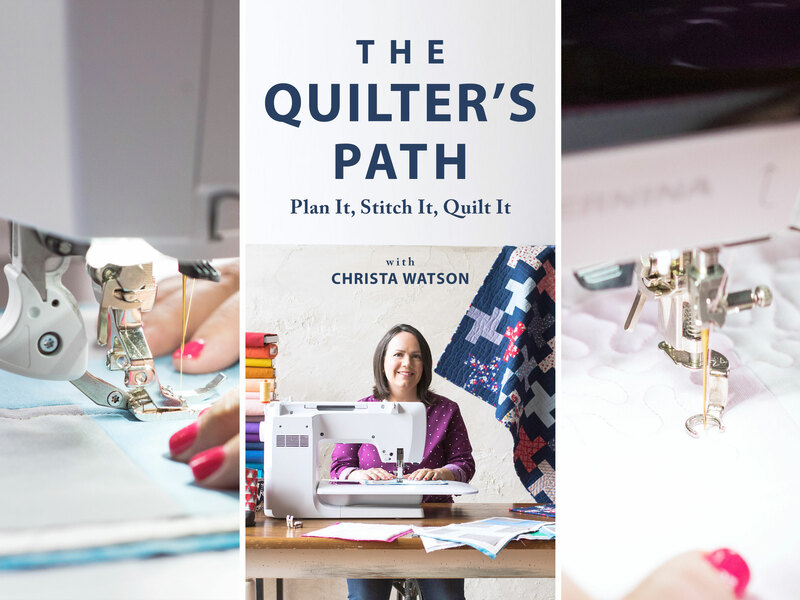 Of course it took longer than a month to create all the quilts for this book! But I look back on this month with fondness as it was the only month of the year where I didn’t travel, didn’t have too many family responsibilities and could just quilt to my heart’s content! Here’s a sneak peek of what’s to come in 2016 – more machine quilting! I decided to jump on the free-pattern bandwagon with the release of Puzzle Box. I enjoy listening to business podcasts about how to increase your marketing reach and the number one suggestion was to offer a “freemium” so I did! Current and brand new readers can get this free pattern by subscribing to Friendly Threads, my weekly email newsletter. My email list has grown by leaps and bounds since then, and I couldn’t be more pleased to be making so many new friends! Puzzle Box is made from just 2 Jelly Rolls! My book includes patterns for 12 quilts, plus how to quilt them! My curated collection of Kona Solids – the Christa Watson designer palette was released by Robert Kaufman fabrics. Now to be clear, I’m not an official fabric designer for them, but this one-time collaboration occurred by being in the right place at the right time. Curating this colorful palette has whet my appetite to become a real fabric designer, so one of my goals for the year will be to learn as much as I can about fabric design. My palette comes in rollups, ten squares, fat quarters and charm packs. I love precuts! I began work on a new quilt which won’t be published until 2017. It’s part of a book collaboration that will really knock your socks off! My biggest a-ha moment of the year was realizing that I can reach a larger audience when I collaborate with companies I adore, full of great people to work with. This fabric is Zen Chic’s newest line for Moda Fabrics. 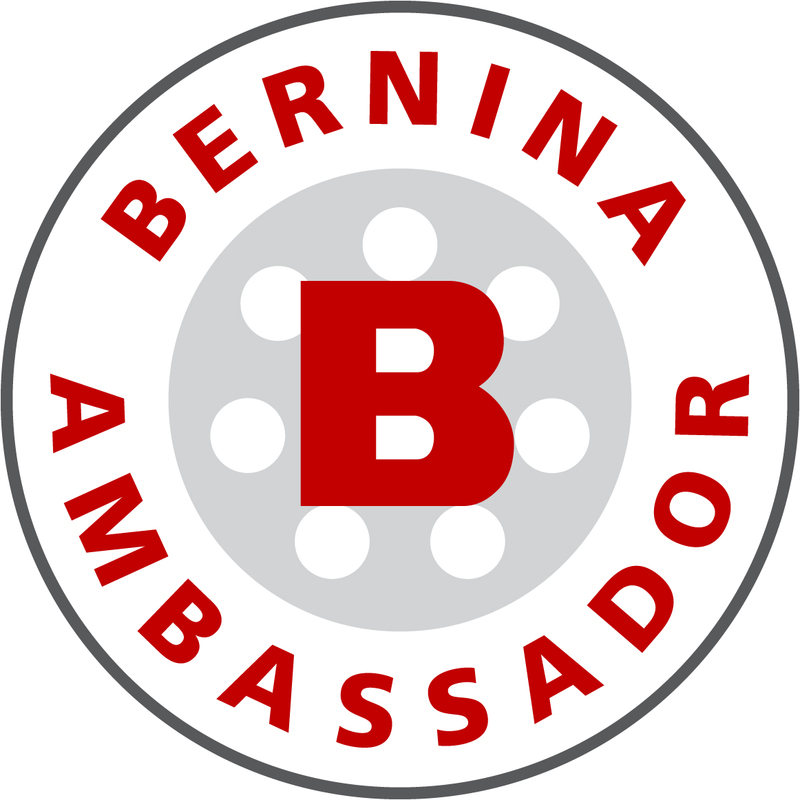 I attended the BERNINA ambassador reunion, another long-term goal of mine. I couldn’t be more thrilled to be part of such a wonderful group and am excited to collaborate more with them next year. Be sure to follow We All Sew, BERNINA’s blog for a brand new quilt along from me, coming next spring! 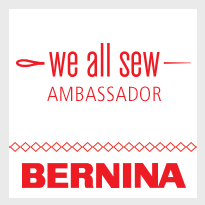 Just a few of the BERNINA ambassadors – what a great group! My 2016 goals for my business are very straightforward: I plan to continue writing, teaching, designing and quilting. I feel like my work flow is under control and I have enough ideas in various stages of completion to keep me busy all year long. What are your quilty goals for 2016? My Word of the Year for 2016 – Relax! I love your look back at 2015. I plan to make at least one quilt top per month. I love doing unusual baby quilts and wall hangings. I’m going to purchase an embroidery machine to further embellish my quilts. Once my studio is complete I will purchase a long-arm quilting machine so that I can do my own quilting. You can a super busy 2015, I can’t see what you create in 2016! Christa, you had a fantastic year! Congratulations on your many accomplishments! Book #3! I can’t wait to see it. Wishing you an even better 2016! I’m proud to know, your accomplishments are great. This year, I’m going back to the basics, and making quilts, and the hanging towels for the refrigetor and oven. I have many quilts that I have not started yet, but when II read your posts, I get excited to get going again. It really helps, as I have health issues that makes it take a little longer to get things done. Every post you make is an encouragement for me to keep up my quilting, thanks very much. Congratulations on all you have accomplished this year, and Happy 2016! My goals are to put myself out there more and enter some quilt shows (proud Quilt Con reject here, lol), I’d love to knock out at least three UFO’s (that will match my 2015 number), and quilt more for me, in my style, rather than trying to please the masses. Sounds selfish, I know, but I have a feeling this will work for me and give me an enlightened 2016. As always, I enjoy reading your enthusiastic and well written posts and can’t wait to get the Modern Quilts Magazine and your eye-popping pattern. You are doing great, thank you for the continued community and inspiration! All the best for the coming year.